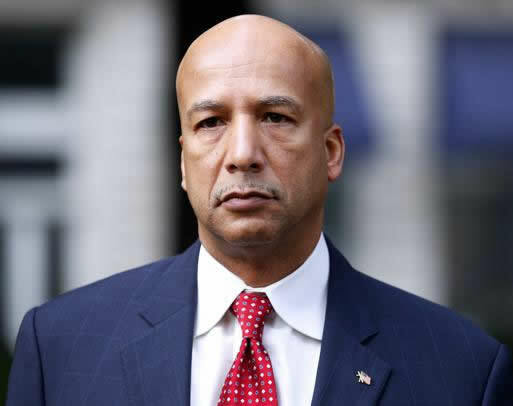 Mayor C. Ray Nagin Known as the public face of the city after Hurricane Katrina is now the face of public corruption after a federal jury found him guilty Wednesday on charges that he used his office for personal gain. “Our public servants pledge to provide honest services to the people of Southeast Louisiana. We are committed to bringing any politician who violates that obligation to justice,” said new United States Attorney Kenneth Allen Polite, Jr. in a statement. •Accepted approximately $72,250 in bribes masked as investments in the Nagin family Stone Age granite countertop business from consultant Rodney Williams and his company, Three Fold Consultants LLC. In exchange, Nagin directed millions of dollars of city contracts to Williams and his engineering firm. •Received paid lodging and vacation expenses for himself and his family in Hawaii and was flown first-class to Jamaica from city technology vendor Mark St. Pierre. The vendor also hooked him up with cell phones, lawn care services, a birthday party and campaign contributions. Nagin’s deputy mayor Greg Meffert, a former technology official, played middleman. •Accepted a free $23,500 private jet vacation to New York from contractor George Solomon, co-owner of a eastern New Orleans movie theater. In return, Nagin wrote off tax penalties for the defunct movie theater and signed on to helping the theater owners collect post-Katrina insurance money. • Pressured Home Depot to sign on with his New Orleans-based family-owned granite supply company, Stone Age LLC, to install tile for its new Central City store. In exchange, Nagin helped the store purchase city streets at rates far below market value and avoid an agreement to hire neighborhood residents at rates above the market. Nagin netted about $170,000. • Enriched his New Orleans-based family granite supply company, Stone Age LLC, through dealings with city contractor Frank Fradella, including free granite worth $50,000 and nine payoffs in the form of wire transfers in monthly installments of $12,500 deposited into Nagin’s Stone Age corporate account after he left office totaling $112,500. In return, Nagin granted city work and offered other project endorsements to Fradella and his Home Solutions of America construction firm.